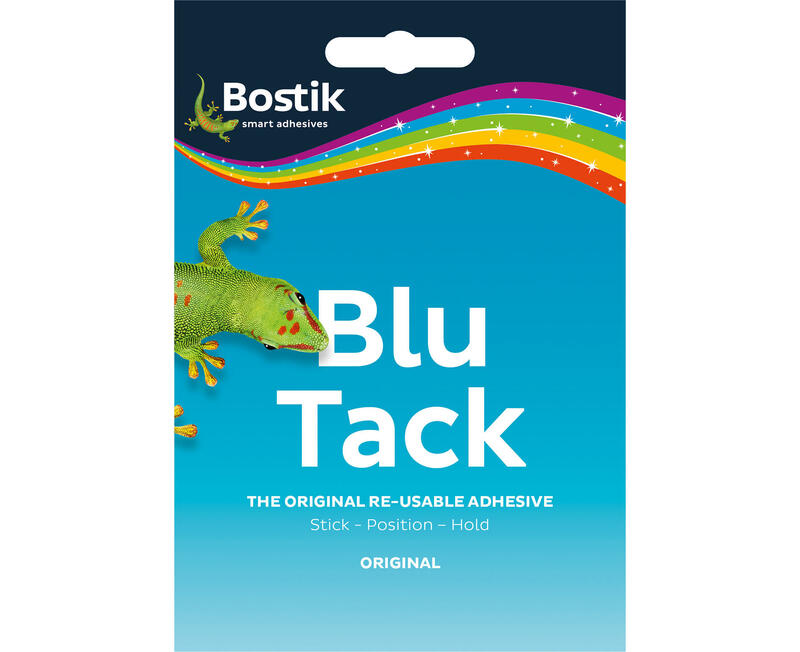 Blu Tack is a permanently plastic, reusable adhesive supplied in the form of rectangular slabs between sheets of release paper. Packed in individual wallets, Blu Tack is both clean and economical in use. It has hundreds of uses, including holding up posters, cards, children's paintings and party decorations without the need for drawing pins or sticky tape. It can even be used to clean fluff from fabric and dirt from typewriters, or it can be rolled and manipulated to make 3 dimensional artistic models.